A family conference is a useful tool to ensure that your estate plan is implemented as envisioned after a person is deceased. It allows testators and beneficiaries to resolve and avoid potential conflicts in advance. This saves time and resources and reduces the likelihood beneficiaries will be involved in costly estate litigation at a later time. A family conference is another useful tool to ensure your affairs are managed and to reduce legal costs. A family conference can be convened by anyone interested in proposed or implementing an estate plan. They will consult their lawyer before the family conference and outline any issues that need to be addressed. Beneficiaries or children can also consult their lawyer to discuss end-of-life preparations. These may include power of attorney documents, etc. The parties involved will select a mediator. The location of the conference is set. The mediator with assistance from counsel will prepare an agenda of issues to be discussed. The parties involved will be able to receive advice from their lawyers ahead of the family conference on issues that may be troublesome. As in other mediation proceedings, the mediator will foster dialogue and ensure the parties involved follow the agenda of the day. The mediator will moderate discussion among family members. The parties involved will attempt to address all issues and reach a binding agreement. The goal of a family conference is to ensure that all contentious issues are resolved in advance thereby reducing future legal costs. 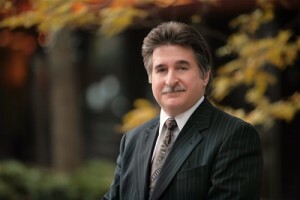 Charles Ticker has over 35 years of experience in litigation and restricts his practice to estate litigation, estate administration and mediation of estate disputes. He can act as counsel for you if your are taking part in a family conference. Alternatively, Charles can be hired as the mediator moderating your conference. His vast experience as an estate lawyer will allow him to facilitate a favorable outcome when retained in either capacity for your estate dispute. Hiring an estate lawyer for the conference process is an important step in ensuring your family’s affairs are organized and your loved ones are taken care of.